“Returning home from work, Rinko is shocked to find that her flat is totally empty. Gone are her TV set, fridge and furniture, gone are all her kitchen tools, including the old Meiji mortar she has inherited from her grandmother and the Le Creuset casserole she has bought with her first salary. Gone, above all, is her Indian boyfriend, the maitre d’ of the restaurant next door to the one she works in. She has no choice but to go back to her native village and her mother, on which she turned her back ten years ago as a fifteen-year-old girl. 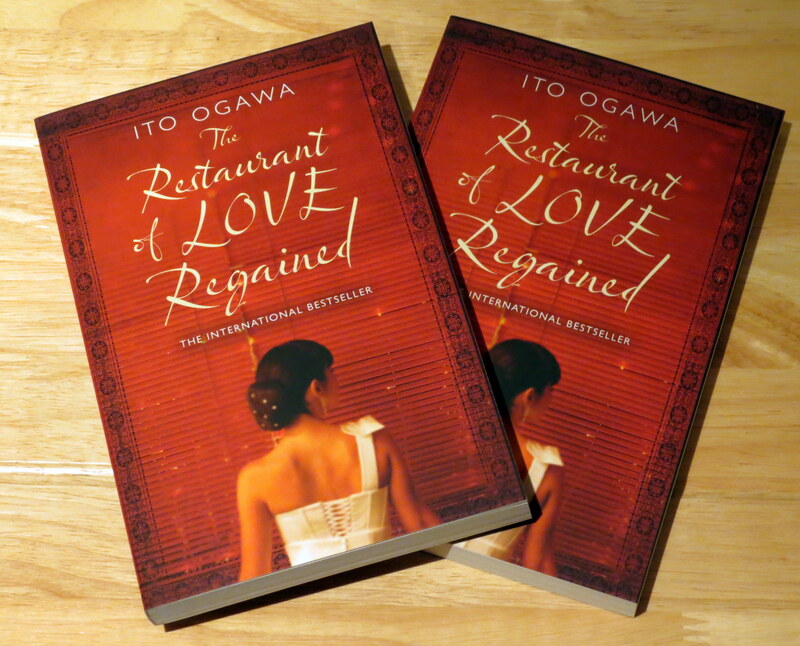 The Restaurant of Love Regained by Ito Ogawa, translated by David Karashima (Alma Books, 2008), is a sweet if somewhat quirky story. When Rinko’s heart is broken and she returns home to her mother’s house with hardly a conscious thought and not a single word uttered, it’s hard to imagine how she might find herself (and her voice) again. 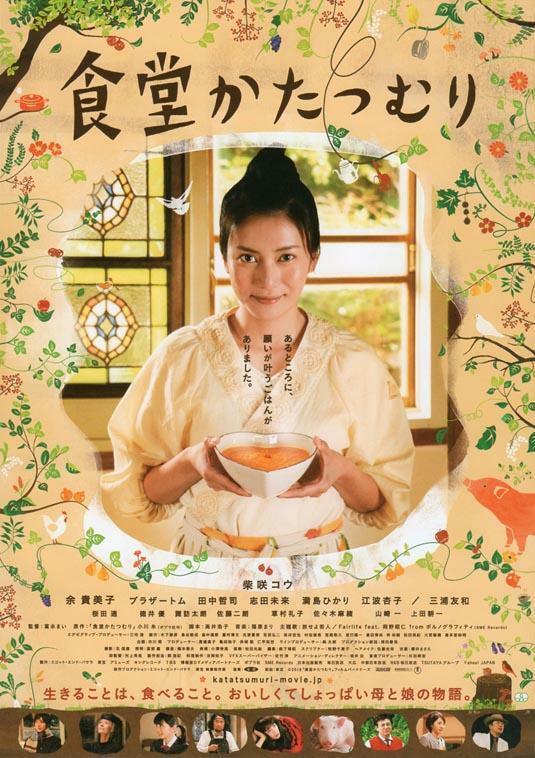 But everyone has a certain magic inside them, and Rinko’s magic is her ability to cook. She lets out her emotions through her recipes, and begins to affect other people’s lives through her dishes. Now, this might seem like an odd idea to those of you who don’t cook, but I’ve always been a strong believer in putting the right kinds of emotions into food. Baking, for example, can be very therapeutic, but it’s cakes that are made with love and good will that taste the best. I’m not sure if there is actual magic in food, but I don’t think it’s beyond all realms of possibility, and it’s true that the right combinations of food can certainly change your mood and attitude. I love food, and it was a delight to read the detailed descriptions of most of the dishes Rinko cooks up in this novel. However, I feel the book should come with a warning – ‘Not suitable for vegetarians’. Towards the end of the story I’m afraid there is rather too much detail about the preparation of a very special meal, which did make me feel a little sick. If you’ve got no problem with meat though, I’m sure it’s fascinating. One of the themes of the story seemed to be that we should look more closely at what is around us and be thankful for what we’ve got. Rinko finds all the ingredients she needs (and more!) in and around her tiny village, with the help of her friends. She also finds that she has much more at home, with her mother, than she realised, and it is this touching strand of the story that really tugged on my heart-strings. Don’t be fooled by the cover and title of the book – this is no chick-lit love story. In fact, the one chance at a hint of romance in the story falls rather flat, and much more space is given to food preparation than the details of Rinko’s budding romance, which we are left wondering about. In 2009 this novel was made into a film called Shokudo katatsumuri (食堂かたつむり), or ‘Rinko’s Restaurant’ to give it its English title. The film certainly looks interesting, and seems to have captured the quirkiness of the book. Unfortunately this film doesn’t seem to be available on DVD here in the UK, which is a shame. 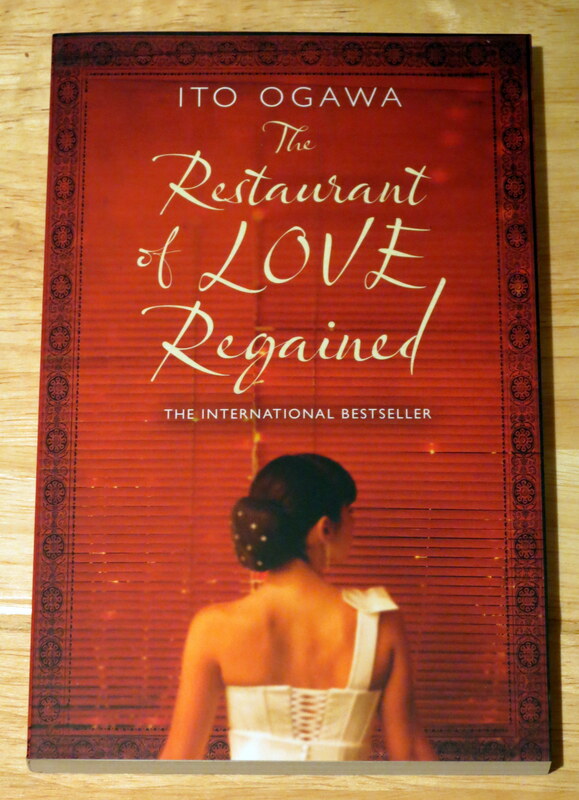 For more information about the book The Restaurant of Love Regained, please visit Alma Books. What is your favourite Japanese dish and how does it make you feel when you eat it? Just leave your answer in the comments section below by 5pm UK time on Saturday 7th December and I will select my favourite two answers and post the books to those people (hopefully in time for Christmas!). When leaving your comment, please make sure to include a valid email address (this will not be published) so I can get in touch with you if you win. Please note that this competition is only open to people with a UK postal address, and all entries must be received via this blog post before the deadline. Entries via any other means, such as Twitter or Facebook, will not be accepted. My favourite dish is Okonomiyaki (Osaka style)~ I normally make this at home so when everyone eats the dish and tells me it’s yummy I feel happy. Also, it tastes great and makes me feel warm – the best feeling of eating wonderful food with your loved ones. Thanks for your entry – I love miso too! Mmm… unagi is the best! My favourite dish is okenamike (sorry not sure how to spell but it is the Osaka omelete). Ah, ‘okonomiyaki’ – now there’s a great dish! Thin buckwheat noodles served cold with wasabi. Sometimes I make it hot with tempura, or duck. It makes me feel interested in what other foods there are when I eat it. I feel as if I am having an experience rather than just eating a set meal. You’ve never eaten Japanese food?! We need to sort this out!! I have never tried Japanese food but I expect the lovely exotic fresh ingredients would make you feel very special. Nice idea – thanks for your entry! I just recently tried Japanese Sushi an I love it. I love Nikujaga – I love all types of stews and this is one of my favourites. I even taught my husband to make it! I love Sushi. I always feel very satisfied after eating it but not too full and tired. I love miso broth. I mainly eat it when I feel run down and it makes me feel revitalised from within! I will never forget Hida beef with Hoba miso from Takayama. Hida beef which I cooked myself, was like nothing I had ever tasted. It was simply a sensational dining experience. Thanks for the comment, DJ! I’m afraid you’re too late for the competition, but good to know about your love for Hida beef. I don’t eat meat, but I’ve heard it’s the best! « Who is the Queen of Kawaii?